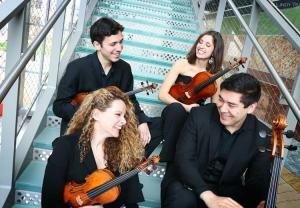 Since its formation in 2015, the Vera String Quartet has quickly established itself as one of the most exciting ensembles of its generation. With its members hailing from Spain, Cuba and the U.S., the ensemble shares a deep commitment to exploring and programming the music of its roots along with the great masterworks of the string quartet repertoire. For this event, the Museum opens at 6 p.m. and the performance begins at 7 p.m. Cash bar and lite fare will be available. Learn more. Enjoy the wintry beauty of the Brandywine River from the Museum’s expansive atrium windows. 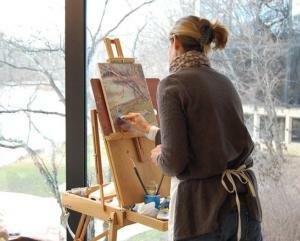 Artists working in all media are invited to explore the vista from inside the Museum where they can sketch, paint or photograph while staying warm. Participants may also enjoy sketching (with pencil) in the Museum’s galleries. Participants are responsible for providing all art materials (including drop cloths). February 1 or 2, 9:30 am - 4:30 pm. Learn more. 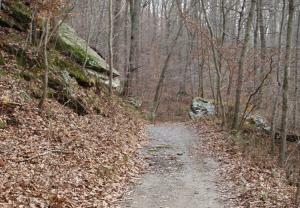 Of the many trails at the Laurels only a few are hiked. Join Laurels Preserve Steward, Caleb Meredith, on a hike of a network of trails that loop around a portion of the property most people don&apos;t often visit. This will be a quick paced hike with many elevation changes. Participants should be able to hike for the full 2 hours. Please bring sturdy hiking boots and water for this event. February 3, 10 am - noon. Learn more. Christine Podmaniczky, Curator of N. C. Wyeth Collections & Historic Properties, will discuss the significance of Winslow Homer’s work for three generations of Wyeth family artists. February 6, 11 am. This event is free with museum admission, reservations not requires. Learn more. Renowned for its holdings of the Wyeth family of artists, the Museum features galleries dedicated to the work of N. C. Wyeth, Andrew Wyeth and Jamie Wyeth. The Brandywine River Museum of Art’s outstanding Heritage Collection is a cross section of American art, with a special focus on artistic practice in the Brandywine valley. 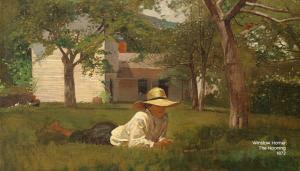 Nineteenth- and twentieth-century landscape paintings testify to the beauty which drew well-known artists to the area. Important portraits, still life paintings and notable holdings in American illustration add diversity and breadth to this unique collection. Learn more brandywine.org/museum.